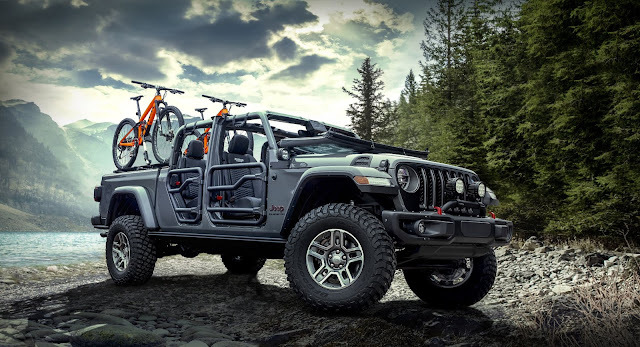 The Mopar brand will deliver a portfolio of more than 200 parts and accessories available to enhance the all-new 2020 Jeep® Gladiator. A Mopar-modified 2020 Jeep Gladiator Rubicon, on display at the 2018 Los Angeles Auto Show'sAutoMobility LA, highlights the open-air personalization potential of the most capable midsize truck ever. Wheels: Aluminum 17-inch beadlock-capable wheels help negotiate off-road terrain, and additional wheel options include five-spoke "gear" and five-spoke "slot" designs.